I'm really excited to tell you that we have Miss Mustard Seed's first ever Look Book in stock! This gorgeous magazine style book is just full of beautiful and inspiring images! 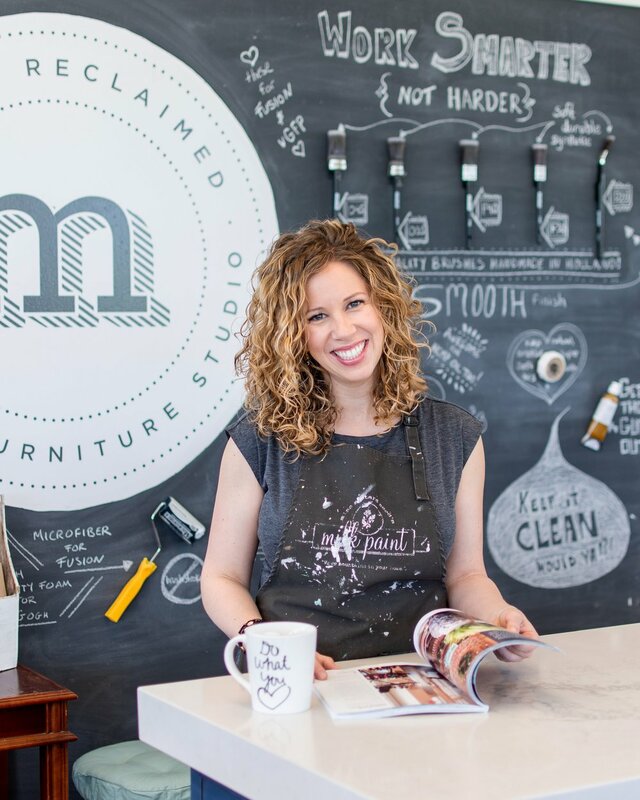 If you're new to the milk paint world, I should probably tell you that Miss Mustard Seeds' Milk Paint creates absolutely gorgeous finishes on your furniture! Milk paint acts like a stain and wants to soak right into your furniture so it's best used on unfinished pieces, or seriously time worn pieces. 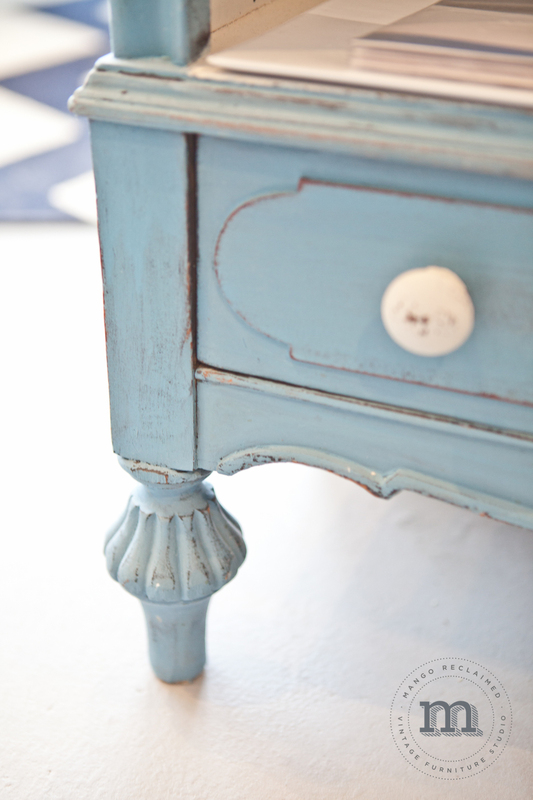 If your furniture looks kinda 'thirsty', then milk paint may be the perfect answer! Here are some detail shots of pieces painted at Mango Reclaimed that demonstrate what I call the 'authentically barn weathered' look that milk paint can create. This look is also referred to as 'chippy goodness' in the milk paint world. . . 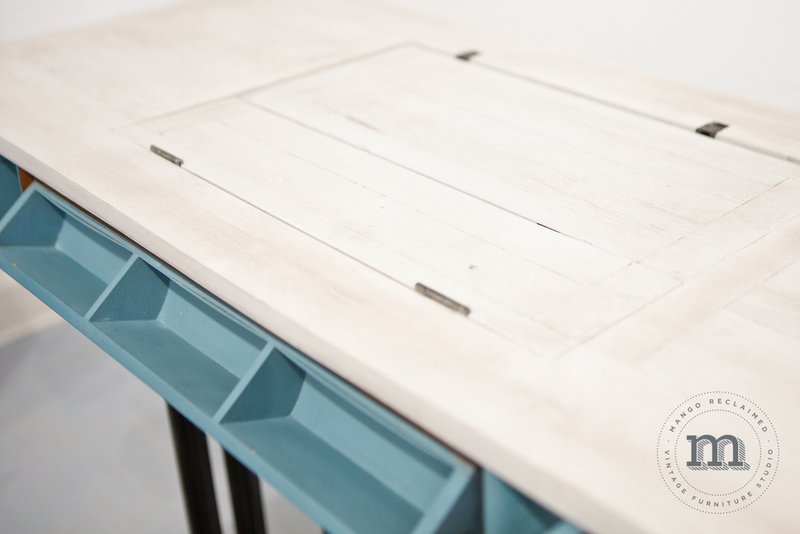 If you haven't used milk paint before, are just getting started with it, or even if you are a seasoned pro - the Look Book really has something for everyone. It has 'how to's', it answers FAQ's, and is full of inspiring images. I don't want to give it all away in this post, but Mango Reclaimed was lucky enough to have one of our pieces featured in this book! I was so excited when I learned this . . . I even asked Marian (aka: Miss Mustard Seed) to sign my store copy!